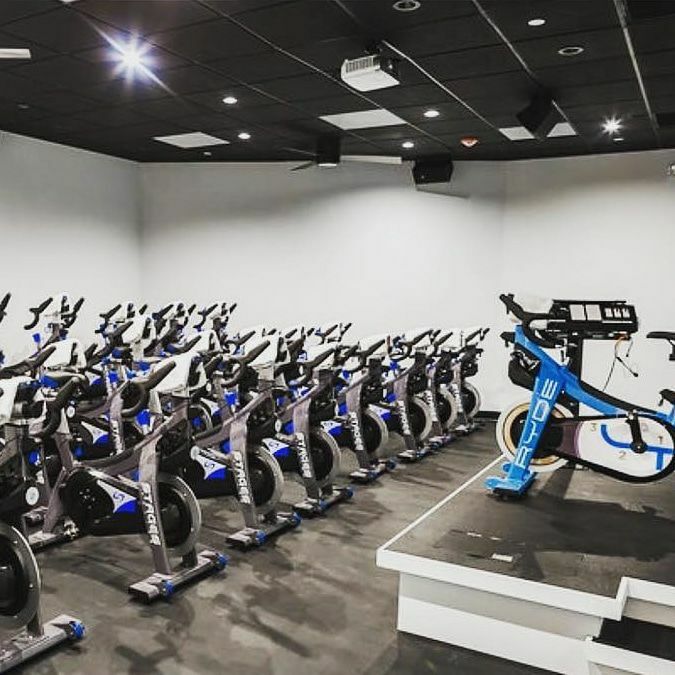 We might be little bit behind the times on a lot of things here in Cayman, but the fitness phenomenon that swept the rest of the world in 2017 has finally arrived on the island, in the form of spin studio Ryde. I loved riding a bike as a kid and could often be found exploring in the woods with my mountain bike obsessed older brother, but save the odd ride on a cruiser around Little Cayman, I haven't really sat on a bike since my teens. It's the last piece of equipment I'd be drawn to in a gym and I've never attempted to ride an actual road bike. So, while I love sports and keeping fit and healthy, a spin class is basically as far from my idea of fun as you can get. Last week I went along to try a Rhythm Ryde class at the new studio and LOVED it so much I figured it deserved an honest review from a non-cyclist. 1. It doesn't hurt your arse as much as you think it will. This might be a strange point to start with but I think it's an important one! One of the reasons I steer clear of two wheeled machines is the fact that I usually struggle to use my sit bones for a week afterwards. I'm all about a nice comfy, padded saddle and even though that's not what you get at Ryde, their seats are definitely the comfiest of any "performance" bike I've tried. And I didn't have any trouble sitting down the day afterwards. 2. The music gets you going no matter what mood you're in. The first class I went to was at 6am. On a Friday. With a bit of a hangover. To say that I wasn't exactly "pumped" when I crawled out of bed at 5:30 was an understatement. But I had committed so off I went, and 3 minutes into the Ryde the music was pumping, lights were flashing and I was ready for anything the rest of the class and the day could throw at me. So if that's not your vibe, I'd suggest the Rhythm Ryde isn't for you. It gets loud. Very loud. It's so dark you can barely see the handle bars in front of you (the idea being that others can't see what you're doing either so no one feels self-conscious) and lights flash in a strobe-like fashion. You'll be bouncing and jumping in and out of the saddle like a wind up toy, so again if you're more inclined to sitting stationary, think again before signing up. The house music and dance mixes are part of what really made it for me but if you prefer to be able to see what you're doing and concentrate on your athletic prowess, you may want to try a Performance Ryde. You'd be wrong to thing that this is just a workout for the legs. Of course your thighs will burn after 45 minutes of pedalling, but so will your arms from handle bar "press-ups" and weights. Each cutting-edge bike is equiped with nifty little racks behind the saddle where you'll store some 2, 3 or 5 pound weights until you're instructed to perform a variety of upper body exercises. And trust me, 2 or 3 pounds may not sound like a lot...but 3/4 way through a Ryde class and 40 reps in...you will feel every single ounce. The workout is seriously intense and you'll definitely feel like you've earned a few drinks afterwards, and just when you don't think you can take another minute of exercise, the door to the studio flings open and you are handed an ice cold towel smelling of eucalyptus. It's heaven. You may look like you've just escaped from hell, but you'll feel like you just stepped out of a spa. Try it. Let me know if you like it. The sticker shock on the class price is fairly significant - at $25 a pop, dropping in for a Ryde aint cheap - but even if you can't afford to go it regularly, definitely give it a try for something different, to shake up your routine or have fun with friends - it's well worth it.